ITIL 4 addresses this new world in ways no other best practice framework can, providing an end-to-end operating model for the delivery and operation of technology-based products and services. ITIL 4 embraces a holistic philosophy to service management, integrating collaborative frameworks such as Lean IT, Agile and DevOps into a single, seamless approach. 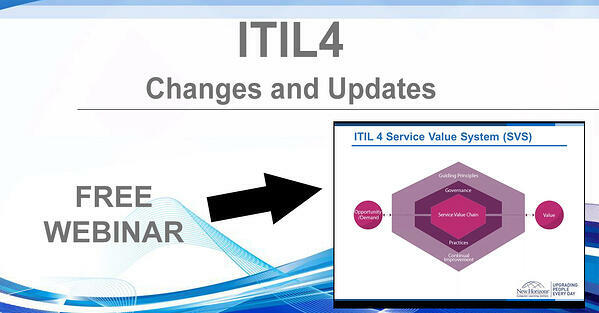 Listen to a comprehensive review of the changes and updates of ITIL 4 in this webinar.